LIVERPOOL's ultimate festival closing party will be back at The Bluecoat on January 28 to crown the end of Above the Beaten Track festival. Beyond The Beaten Track, a one-off closing event to celebrate the works of Above the Beaten Track - is a celebration packed full with daytime talks, workshops, round-table discussions and informal networking aimed at young people looking to work in creative industries such as music. 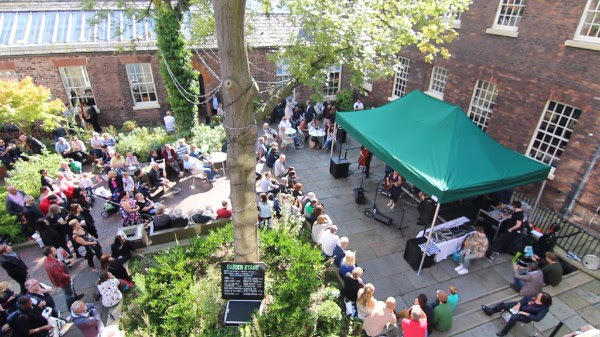 Beginning in 2008 the festival celebrates the best of Merseyside's creative underground scene championing and addressing the "imbalance" of under-representation of emerging live music and creativity in the area. A spokesman from the festival said: "Given the changing nature of Liverpool’s festival calendar, notably with the arrival of Liverpool International Music Festival, from a programming standpoint the ATBT event is not needed in the way it was so crucially back in 2008. "With the rising prominence of Threshold Festival, LIMF, and the LIMF Academy, we have effectively achieved what we set out to in respect of the festival. As such, we feel it would be fitting to celebrate with a final event, as well as offering one last opportunity for those previously involved to reconnect."